For Arizona customers, we donate $1 dollar for every windshield replacement to Phoenix Children’s Hospital. We go here, we go there, we go everywhere. If you’re in Arizona or Colorado, we got you covered. Open 365 days a year! 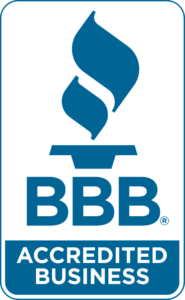 If you have any questions regarding your car windshield replacement or repair, please fill out our form and we will get back to you as soon as possible. 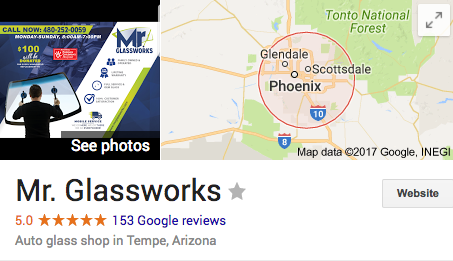 Mr. Glassworks has over 150 five-star reviews across Google and Yelp. 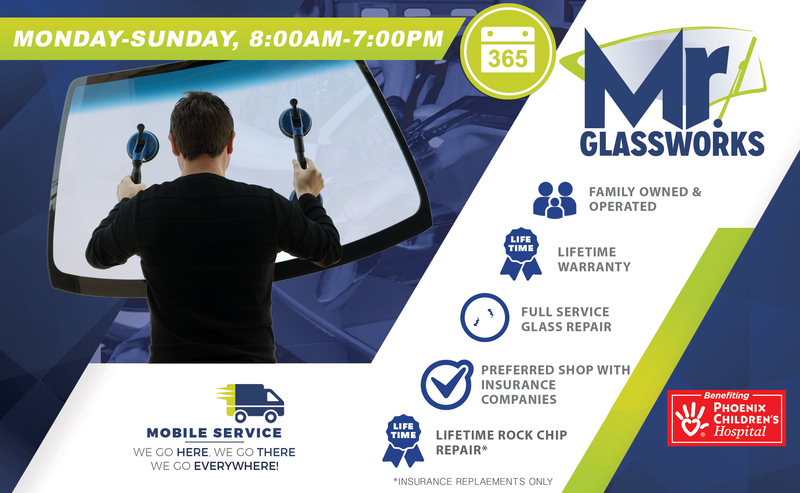 Call us and find out why we are your best option for auto glass repair and replacement! We learned that our son was going to be born with Congenital Heart Disease when my wife was 20 weeks pregnant. Not only were we nervous to be first time parents, but now we are going to have a child with complex heart deformities, we had no clue what to expect. After our son Weston was born, we started taking him to Phoenix Children’s Hospital. The doctors gave us the knowledge and the confidence to know what to do with our son Weston. 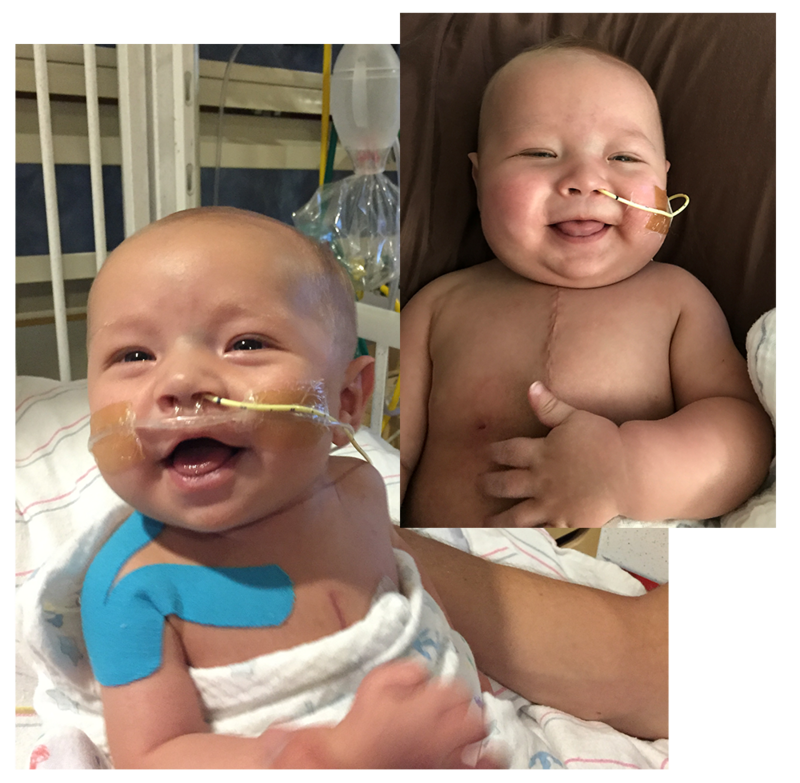 Weston had two open heart surgeries and spent almost six months in and out of the hospital with numerous complications by the time he turned 10 months old. Having the nurses and the doctors at PCH made such a big impact on our outlook and helped us get through some of the hardest times in our life. We became a part of the hospital and felt like family. 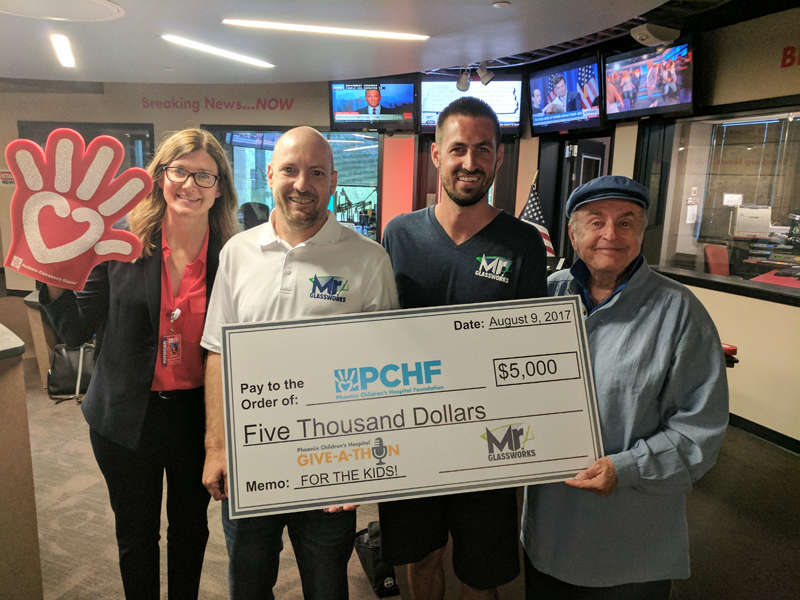 For everything that PCH has done for us and for our son we decided to donate back and we will be forever thankful.